"You can't save everyone, Thomas." "I can try." 20th Century Fox has revealed the final theatrical trailer for Maze Runner: The Death Cure, the third and final movie in the sci-fi series. Director Wes Ball tweeted yesterday that this is the "last Maze Runner trailer you're ever gonna see [sic]." 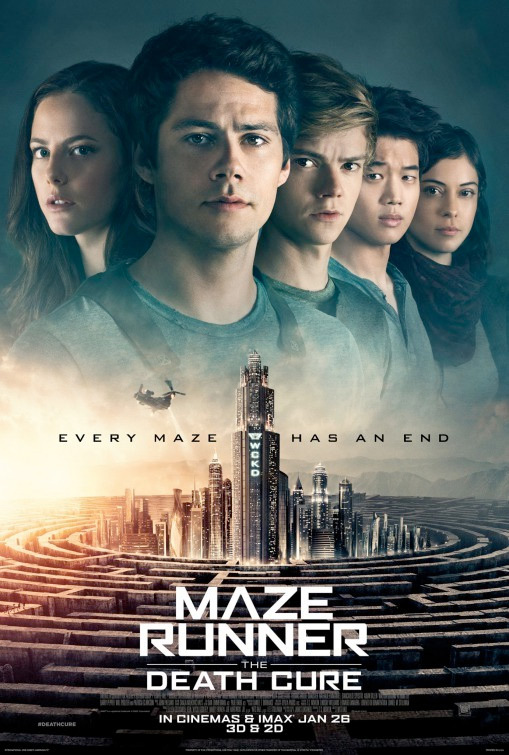 This sci-fi series had a small, humble beginning with a movie about a giant maze, then blew up into something much bigger with the second movie, The Scorch Trials, released in 2015, and now it concludes with an all-out, epic, action-packed grand finale. Dylan O'Brien stars as Thomas, and the cast includes Kaya Scodelario, Walton Goggins, Nathalie Emmanuel, Katherine McNamara, Thomas Brodie-Sangster, Rosa Salazar, Giancarlo Esposito, Patricia Clarkson, Barry Pepper, Ki Hong Lee, and Jacob Lofland. Even if you haven't been following this series so far, you might want to fire up this trailer - it looks pretty dang cool. You can still watch the first teaser trailer for Maze Runner: The Death Cure here, to see even more footage. In the epic finale to the Maze Runner saga, Thomas leads his group of escaped Gladers on their final and most dangerous mission yet. To save their friends, they must break into the legendary Last City, a WCKD-controlled labyrinth that may turn out to be the deadliest maze of all. Anyone who makes it out alive will get answers to the questions the Gladers have been asking since they first arrived in the maze. 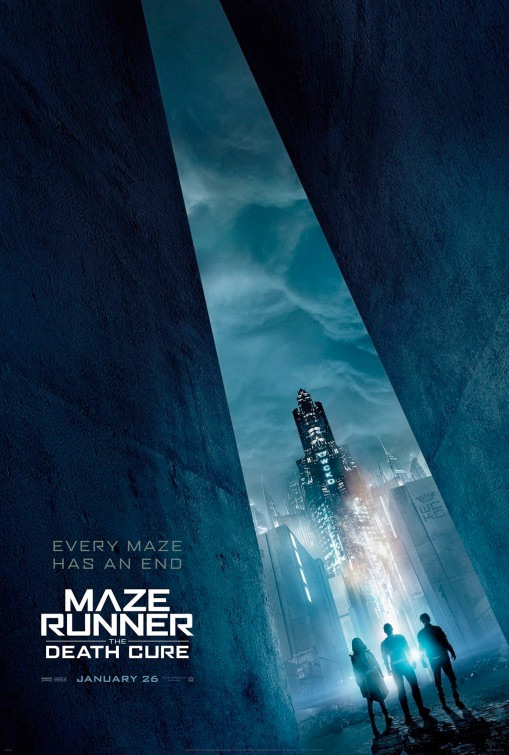 Maze Runner: The Death Cure is directed by up-and-coming filmmaker Wes Ball, of the first two Maze Runner films, as well as the acclaimed short film Ruin previously. The screenplay is written by T.S. Nowlin; adapted from James Dashner's series of novels of the same name. 20th Century Fox will release Maze Runner: The Death Cure in theaters everywhere starting January 26th, 2018 early next year. Who's interested in this?